Pro Dive in Plettenberg Bay is a fully operational dive centre offering SSI and Padi certifications. Open 7 days a week and ideally located at the Beacon Isle Hotel. We offer daily dive excursions including scuba diving, snorkelling and discover scuba diving courses and have excellent facilities including warm showers, full equipment rental and ventilated storage and various restaurants on site. Our reefs are covered with vibrant soft corals, anemones and sponges decorating reefs teeming with marine life including rays, shysharks, seals and many species of nudibranchs and reef fish. House reefs are conveniently located right on our doorstep with interesting features such as remains from the time when Beacon Island was used as a whaling station. Other reefs can be reached by boat, including a dive with the Cape Fur Seal, making diving in Plettenberg Bay a varied and unique experience. We offer all SSI and Padi professional and non-professional recreational scuba diving courses from Open Water to Instructor with on-site facilties including lecture room, pool and close proximity to the ocean dives. Anyone from the age of 10 years old can start enjoying the unerwater world and we offer special programs for children ages 8 and 9 years old. 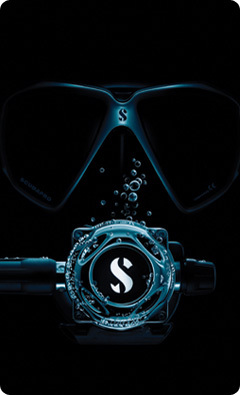 Our dive shop has a selection of diving equipment, training materials, clothing and accessories where our friendly staff will gladly assist with course enquirires, equipment selection and your servicing requirements, including on-site airfills. Our dive club members enjoy benefits such as unlimited shore dives, specials on equipment rentals and courses, free airfills and preferential bookings on dive charters. Pro Dive also has a branch in Port Elizabeth with a dedicated travel centre specialising in dive travel packages and has become the agent for some of the most exclusive resorts and liveaboards around the globe.